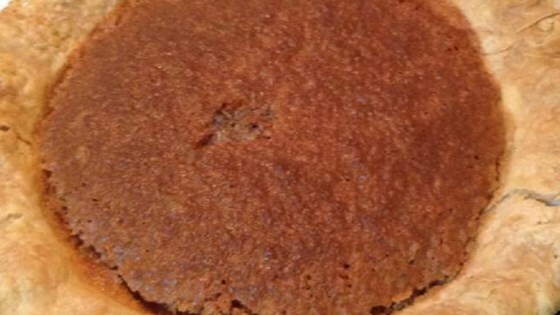 "This sweet, rich, custardy pie has raisins, nuts, and coconut. A favorite in the Deep South! If you're a big fan of cinnamon, you can add a couple extra teaspoons to the recipe. Garnish each slice of pie with whipped cream and chopped nuts for a delicious and attractive presentation.. "
Place raisins in a small saucepan. Pour in enough water to cover. Place over low heat and bring to a boil. Remove from heat and set aside. In a large mixing bowl, cream together butter, white sugar, and brown sugar. Beat in eggs, vanilla extract, and cinnamon. Mix until smooth. Drain excess water from raisins. Fold into mixture along with nuts and coconut. Mixture will appear curdled. Pour half of mixture into each pastry shell. Bake in preheated oven for 30 to 35 minutes, until filling is set. Cool on wire racks. Garnish with whipped topping and chopped nuts if desired. Quick, Easy, and delicious! I did reduce the amount of Cinnamon to taste. Freezes well...keep one for those unexpected guests.